Deep Thoughts or Deep Prejudices? While rereading the articles and comments in this discussion, it struck me that I had seen almost all of the fears, hopes, and arguments before. This whole discussion is a rerun of the “Television is good/bad for education” argument of five decades ago. Then too, there was the hope that using TV to spread knowledge would improve the plight of the poor and ignorant. That education would benefit from “School TV”. So we can look back to see how that fared. Well, it did and it did not. There still is School TV, and most countries make use of some air-time or another for it. However, in-class use is very, very limited. A TV in front of the class does not seem to reduce the need for teacher based instruction much. TV is at best an accessory to classical education. And outside school? We have Sesame Street for preschool children, which can be written down as a full scale success (in my opinion, it is often the best program of the evening, on any channel, for any age-group). As Ali G joked, Sesame Street is so good, they should make a version for children. In addition, every country seems to have a, small, selection of informative or educative programs for any age group. For the rest, TV quality is considered proverbially low. There is a direct parallel between the discussion of the quality of TV programs and Internet content. Except that Internet content is considered again one, or several, steps worse. So what can we learn from the history o television? First, that if you give people choice, they will make their own choices, not yours. So they will seek what they like. And people do not want to be educated. At least not all the time. Most of the time, people want to sit and relax, watching some show that is a waste of time. But that is the point of relaxing, wasting time. In the not-too-distant future, it is quite possible that the world will be watching 24 billion hours of TV a day — an average of close to four hours for each person in the world. Some of those hours could surely be better spent — planting trees, helping old ladies cross the road, or playing cricket, perhaps. But watching TV exposes people to new ideas and different people. With that will come greater opportunity, growing equality, a better understanding of the world, and a new appreciation of the complexities of life for a wannabe Afghan woman pop star. Now we often saw comments about the next generation of children being dumbed down to medieval levels of intellect, thanks to Novels, Radio, Movies, TV, or the Internet. However, in this point, science shows differently. Since IQ has been measured, it has gone up (the Flynn effect). So, despite, or thanks to, television, our children have a higher IQ than we have, and we had a higher IQ than our parents, etc.. Now IQ cannot be equated with intelligence, but it is the best measure of school ability we have. The Flynn effect shows that every generation is better at school than the previous. In conclusion, did TV make children worse? Never. Did it have a direct impact on education? Hardly, there was ever only an indirect effect. But that indirect effect was huge. 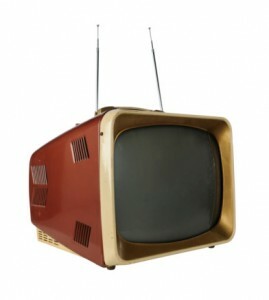 If you go over all the criticism of TV programs of the past, it has often been compared to junk food for the Mind. Watching TV or Movies is called “media consumption” as if watching the tube is eating food. Viewers are cough potatoes, watching too much TV, and eating too many TV dinners. This parallel between bad eating habits, including addictive behavior, and media use is even made stronger with respect to the Internet. We hear about “junk information”, “information overload”, “information obesity”, obviously with a work shop. The book and articles written by Nick Carr are inside the same trend. We get too much information from the Internet, and it is bad for us. But information is not food. You can eat too much, but you cannot know too much. And you certainly do not “consume” information. After learning some information, it is not spend and forever gone, you can revisit the very same information time and again, gaining more insight every time. Both TV and the Internet have been blamed for the low number of people that read books. This criticism implies that this is bad for these people and for society. I will not contest one way or another whether or not reading books is good for society. The point is, in the whole of history, only a minority read books for pleasure. But now the accusation has been leveled that the always-on connectivity of the Internet and mobile phones threatens the intellect of our children (again?). In The Shallows: What the Internet Is Doing to Our Brains, author Nick Carr asserts that human memory works best when it encounters ideas in a linear way, such as when a concept is explained in a way that logically builds out an idea, with each new layer of explanation resting on the layers before it and adding to the whole, coherent idea. And further, that focus — free of distractions — is essential for the mind to deep learn in this encounter with a developing idea. This kind of focused, linear idea-building often happens when engaging an educational book. The reader starts on page one and ends at page whatever; a clear path from start to finish — no distractions, no hyperlinks taking the mind off the matter at hand. Nick Carr then links these ideas to neural plasticity and the way the brain works. This view on (educational) books is a peculiar one. Because, it again views mental interaction with a medium, here reading a book, as a kind of consumption. Like if you “eat” your way through the book. Although it is true that we tend to read through a book from page to page, front to back, this is not the whole story. First, with educational books this is the exception, instead of the rule. I cannot remember having ever read a school text book from cover to cover. But more important, I have never read a book in one single, uninterrupted session, except when it was very, very short. Often I read a book over days or even weeks or months. Each time I start again, I do remember where I left of in the story or train of thoughts. This is what every reader does without problem. This reading in installments has been part of book publishing itself. Serialized books are very common, from the archetype of the oral “Arabian Nights”, with its 1001 nightly cliffhangers to “The Pickwick Papers” and the “Count of Monte Cristo” all over to the seven parts of “Harry Potter” published over a period of almost a decade. Interruption is the rule in book reading, not the exception. And only the simplest of children’s book are linear in structure. The plot lines of books are more like a river system with many sub-plot lines coming together in ever larger flows. In argumentative and educational texts this is not different. Many strands of reasoning are tied together to get to the point, if there is a point. Note also that there is a literary genre of published correspondence, more like correspondence chess. Each publication is a turn in a game of conversation. This genre is still alive in learned and scientific journals. It is not that one book or letter leads to one idea or insight. But ideas are developed over time in a tight interaction of publications. Conversations come in book sizes because of limits of technology. We would be better off if we were able to get the original conversations back. Conversations with all their non-linear and complex interconnections. In books and articles, references are used as a prosthesis for these intricate connections. Hypertext was just what was needed to recreate the connections between thoughts and arguments. Nowadays, articles are published on-line with the sources and references directly linked. You see this in this ETD discussion. In the previous paragraph, I could have added a footnote after describing a view on the development of ideas. I did not think of this view myself. The footnote would point to a reference where this idea is developed and explained. The Wikipedia article about this contains links to other relevant references, on-line and off-line. And so on. Would this bother any of you? Normally, I am not very much distracted by such a footnote-with-link. In general, I visit such footnotes and links only during second or later readings. Or if it concerns something I find particularly interesting. And with the Internet, and mobile phones, we finally go back to the original form of the formulation and development of ideas as it was practised by the likes of Socrates: (almost) real time conversations between author and reader, speaker and listener, where the discussions in the comments section can be more interesting and thought provoking than the original article. These conversations come naturally to readers, as the wealth of blog comments and things like the m4Lit mobile phone project show. See the ETD articles by Marion Walton and Steve Vosloo. So, I disagree with Nick Carr. I do not think books are straight, direct, and uninterrupted roads to ideas and insights. In my view, books are, at times convoluted, episodes in long running conversations with intricate relations between the episodes. Hypertext is a good tool to make these relations explicit. And readers only gain from seeing them in their face. I think that the real problem Nick Carr is referring too, distraction and lack of focus, is not about the structure of information, or information overload. These problems have more to do with noise and learning to chose, select, and concentrate. These problems would not go away if the Internet goes away. We had the same complaints earlier about TV shows and MTV culture. This is simply a matter of adaptation to noise. And people can adapt to a lot of noise. We are living a revolution of the same extend as the introduction of movable print. Suddenly, information is not scarce anymore. Communication has become cheap. Things like Google, Wikipedia, and the ETD blog were unimaginable a few decades ago. How do children look at these new possibilities? Obviously, they push them to the edge of the possible. And they use it for what children always liked doing most: Chatting and playing. These two activities cost time, so the children will cut back on other activities. It would be great if chatting and playing could be recruited for education, but that is not happening yet (but see “Serious fun with computer games“, Nature 466, 695 5 August 2010, doi:10.1038/466695a ). We know from the research discussed on this site that next to watching TV and reading comics, children will cut back on doing homework to free up “computer time”. This will affect their grades. Does this mean they will be educated worse. No. But they will not learn the things we learned when we went to school. Many of the endangered skills are out of date anyway. Will children learn how to read and type? Yes, they need it to surf the web, or to tweet. Will children learn good handwriting? Why should they bother? Will they learn arithmetic? Probably not as good as their parents did. For someone with a pocket calculator, the skill does not seem particularly worthwhile. This poses a dilemma to the schools which was well presented in a comment by Eileen Honan, where she presented the fable of the horse riders (taken from Heppell, S., 1994). If everyone starts driving cars, how relevant is it to test for horse riding skills? The relevance of the existing curriculum was a central motive in many of the comments. I too see it as of paramount importance to ensure that children learn skills and acquire knowledge that are relevant to their future lives, and that they are helped to understand why it is relevant. It must be very demotivating to study hard to pass the standardized tests, only to understand that what you are working so hard to master is useless for anything you will ever do. Especially so, when you learn that demands you should be prepared for will not be addressed in school. Children do understand this. Will they learn English/Spanish/Mandarin as a second language or economics classes? You bet. Offer courses in anything the children expect will give them an edge in the job market, and the classes will fill up (whether these expectations are realistic or not). The biggest complaint from students is never that they have to learn, it is that they do not learn enough. It always has been, and probably always will be, that students complain they have to spend too much time learning things they see as useless. They want to spend their time learning things that are relevant to them now and in the future. To summarize and get back to the point. I see this discussion largely as a rerun of the earlier arguments about the pros and cons of television. Despite mountains of writings and studies lamenting the mindless nature of the TV shows beloved by the men and women in the street, all serious evidence shows us that TV has improved life on earth. And improved it considerably. In this light I think that most attempts to use ICT4E to replace teachers will fail. Just as ICT helps a doctor (MD) do her work, but does not replace her, ICT4E should be geared towards helping teachers teach, not replace them. In the developed (rich) world, ICT at home or in computer labs will simply help students to learn, understand, and communicate outside of the classroom. And we must accept that the students will spend their time in reverse order, foremost to communicate with friends and play online, only then read, watch, and understand, and only after all procrastination has failed, to study. In the developing world, things are obviously completely different. In the developing world, the problem is that there are not enough teachers, books, and class-rooms to educate all the children. This is a point that has been made several times in this ETD discussion. For children in these circumstances, ICT4E simply is the only feasible way to get any education at all. Because, for all the costs of, e.g., 1-1 computing, training a teacher and equipping a class-room is much more expensive and simply takes too much time. In short, my conclusion of this whole debate, here and elsewhere, is: In the developed world, make education relevant to the children, and use ICT to help the teachers do their work. And outside school, computers and the Internet will make our children smarter, much smarter that we ever imagined. Which will obviously have an effect on their school grades, just as TV did for the generations before them. Obviously, being smart is not the same as being skilled or productive. Every generation lives in a different world requiring new skills. It is up to the schools to make sure children also learn the practical skills they need to cope with the demands of society. And if society switches from horse riding to motorized transport, schools should prepare for a drivers license. It is pretty useless, then, to give cars to schools just to drive the children to horse-riding lessons. Often, ICT in schools is used like cars for taking children to horse riding, and then complaining the cars did not improve their horse riding. In the developing world, use ICT to enable children to learn when teachers, books, and classrooms are is short supply. In many cases, I see good possibilities for 1-1 initiatives using connected appliances, be it netbooks or (docked) mobile phones. But as for all problems, the solutions should fit the local problems and opportunities, and these will be different in every place. And as for the attention grabbing headline: “Does Google Make Us Stupid? Attention, Thoughtfulness and Literacy in the Networked Age”? There might be too much food available for our good, but there is no such thing as too much knowledge. Rob von Son is a member of the Institute of Phonetic Sciences at University of Amsterdam. Written by Rob van Son on August 31, 2010 in Literacies: Old and New. Why not. Anything that helps. I once constructed a Sextant and a replica of Newton's telescope from cardboard models (the optics were NOT from paper ;-). They both worked, and both taught me a lot about these instruments. And the instruments REALLY worked. The telescope was good enough to observe Jupiter's moons and Saturn's rings. The point of my post is different. Cardboard models require logistics. If they are pre-printed, these are worse than those of text books. If they are locally constructed, the plans have to be distributed. The startup costs of such a project based on locally obtained materials would be much, much lower than any ICT based program. In the long run, an ICT base program will deliver more ROI. But I can understand that schools cannot wait for the investments to materialize. They have a duty to teach children NOW.